Chester, VA - Coming Soon! Looking for a gift idea for the special someone? Or maybe for a deserving teacher or boss? Give the gift of movies! 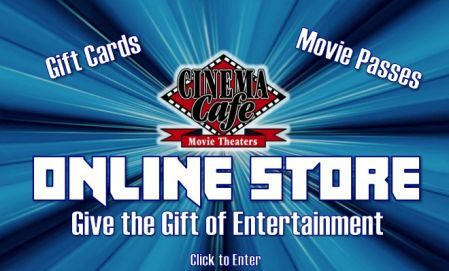 Cinema Cafe's Online Store has plenty of gift ideas for you to choose from!